Call us at (503) 224-9513 today. We would like to Welcome you to our office… City Chiropractic has become a popular destination to receive high quality Chiropractic and Massage Care for many Patients; to include professionals and their families, friends and co-workers. We are conveniently located in Downtown Portland next to Pioneer Square, right by Tri-Met, Max and Bus stations and we provide validated parking at nearby Smart Parks. Why choose City Chiropractic for your family’s Healthcare needs? 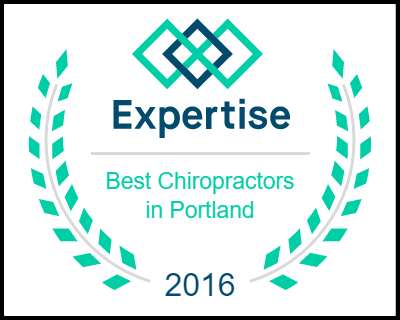 City Chiropractic has been serving the Greater Portland Metropolitan Community over 30 years. As experts in natural healthcare, we can help you to recover quickly from a multitude of conditions; such as Sports, Auto, Work and other related injuries. Our primary focus is getting to the true cause of your condition and to provide care that will allow for optimal healing. We help with a variety of ailments to include, headaches, neck pain, back pain, sciatica, carpal tunnel syndrome, various joint problems (shoulder, elbow, wrist, hip, knee, ankle, etc), and much, much more. We further provide important education to help you prevent problems and to achieve and maintain overall health and wellness. No Insurance Coverage… No worries; Chiropractic is Affordable Health Assurance! We provide healthcare to many patients who either have no insurance coverage or minimal insurance coverage. There are several affordable plans available at City Chiropractic in order to help most people get the quality and cost effective care that they need. We offer a Complimentary Consultation with our doctors to review and discuss your healthcare goals and needs. Call today to make your appointment. We at City Chiropractic are committed to helping as many people as possible obtain and maintain optimal health and well-being by providing high-quality healthcare and education. We are dedicated to providing an environment that is professional, clean, caring, loving, enjoyable and service oriented. It is our intention to enrich and empower those that we encounter with an improved quality of life, while in turn having a positive influence on our community. We encourage our patients to join us by participating in this most important and noble mission. To learn more about Chiropractic care, please click here to watch our What Is Chiropractic video created by The Big Idea! "I’ve been going to City Chiropractic for longer than I can remember. They are outstanding. Most importantly, the treatments is effective. When I began going there, I had chronic low back pain that I’d suffered with my entire life. They have completely eliminated that. There treatments always provide immediate relief"
"I love City Chiropractic. They have helped me through many injuries and have reduced the pain I have from fibromyalgia. The doctors there are amazing and easy to talk to. The staff is professional, thorough, plus friendly, and they validate parking"
"City Chiropractic is incredible. They are positive, supportive and personable. I’ve been to many chiropractors over the years and The doctors at city chiropractic are the most perceptive and accurate in their adjustments. They got me back on track and am thankful for it." "I love City Chiropractic! I have been getting ongoing care with them for just about 12 years. I always leave the office feeling better and refreshed."